If there is one thing inseparable from a traditional Christmas, it is the Christmas cracker. A British custom since the 19th century, Christmas crackers get holiday dinners off to a lively start. The original Victorian Christmas Crackers were love tokens; neither more nor less. They were simply bits of twisted and fringed colored tissue paper, with a sweet and a little verse inside; and they were called "Kisses." 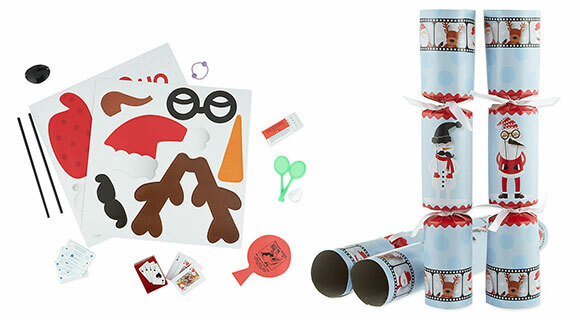 Modern day Christmas crackers range from over-the-top luxury items to inexpensive packaged treats for the family. Many make their own Christmas Crackers, but here we present a collection of 10 fantastic Christmas crackers available at luxury department stores. We begin with the world's most expensive Christmas Crackers, costing a staggering £4m and coming with the most extravagant gifts ever. 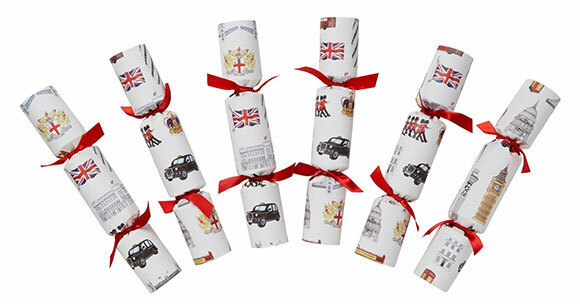 These opulent Christmas crackers contain the ultimate in expensive gifts, from a trip around the world and an Aston Martin to even a yacht. The festive crackers are being sold by luxury site VeryFirstTo, with the lucky winner receiving a white gold 'Diamants Legers' Cartier necklace set with 20 diamonds. 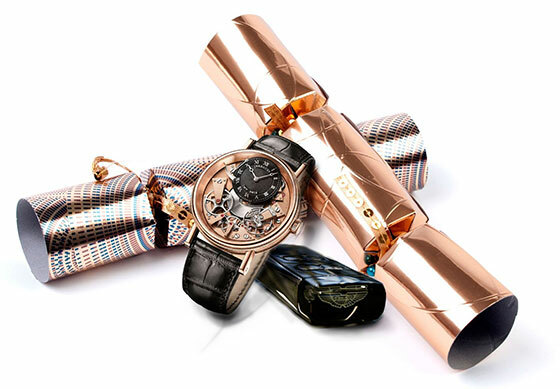 Other gifts include a Breguet Tradition, 18-carat rose gold watch, and the Faber-Castell limited-edition pen of the year - which costs £6,500. VeryFirstTo is an online service that enables individuals to be the first to know about, and have, newly launching luxury products and experiences. 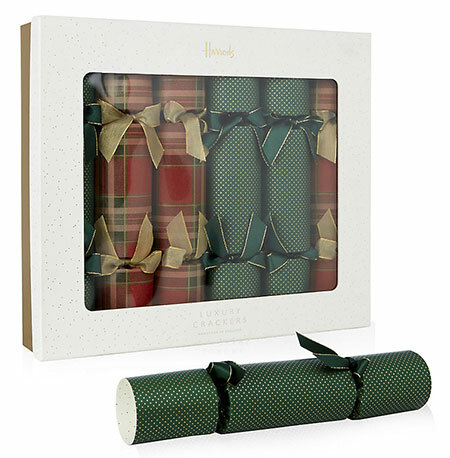 The top of the line of luxury Christmas Crackers are available at Harrods in Great Britain. You can ensure your Christmas is full of the finer things with Harrods’ Balmoral Luxury Crackers. Exclusively handmade in England, they boast a merry red and green design and are complemented with six glamorous gifts. Cracker gifts include a Halycon Days 18kt gold and enamel plated bangle, Harrods of London crystal pen, Harrods of London cashmere socks, Harrods of London leather luggage tag, St Dupont reversible mother of pearl and onyx cufflinks and Harrods of London leather credit card case. Finished with the signature hat, snap and joke and presented in a Harrods white and gold box for a touch of Christmas spirit. Box of 6 is £499.00 but, disappointingly only available for UK delivery. 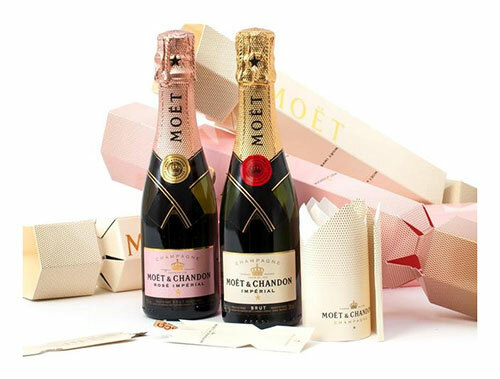 Treat your guests to the ultimate Christmas surprise with Moet & Chandon's indulgent Christmas cracker. The cellar elves at the world’s best loved Champagne House have gone into creative overdrive this year to craft the perfect celebratory Christmas packaging for Moët’s baby 20cl bottles of champagne. The light golden and pearlescent pink Moët Mini Crackers are bound to ensure that your Christmas meal goes with a bang, as well as being a sparkling idea for a stocking filler. Each cracker contains a mini bottle of either Moët & Chandon Blanc Impérial NV or the Moët & Chandon Rosé Impérial NV; plus festive crown hats and mini snap crackers. Sold online by Ocado for £59.95. 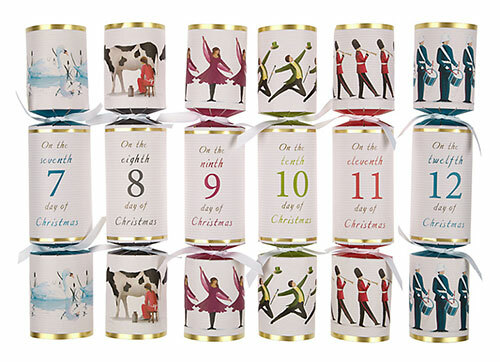 With John Lewis Twelve Days of Christmas Crackers you can sing Christmas carols around your well-laid table and ensure you remember the twelve days of Christmas with these cheery crackers! 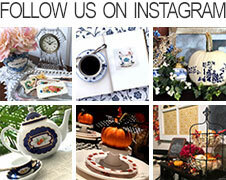 This beautifully illustrated set has a subtle vintage feel reminiscent of festive seasons gone by. Each cracker contains a snap, motto and hat along with one of the following: a bottle opener, metal yo-yo, bottle stop, tape measure, screwdriver set, carabineer, padlock, playing cards, metal puzzle, chess game, place card holder or folding corkscrew. Set of 12 for £20.00 and is available for UK delivery only. Tom Smith Christmas Crackers are the original Christmas cracker with the largest selection of luxury Christmas crackers anywhere in the United States. Their Chairman's Choice Christmas Crackers are wrapped with ribbon, jewels, glitter and gems to make this the ultimate dinner party experience. Each cracker is 14 inches long and there are 6 crackers in a box for $69.99. The crackers are packaged in an elegant Tom Smith keepsake box. 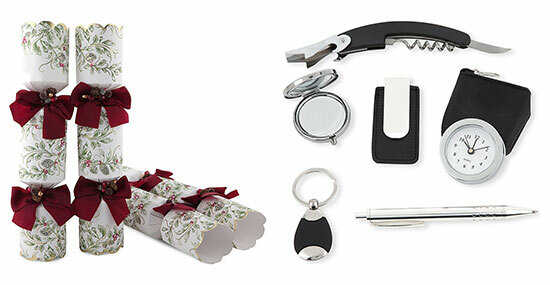 Each cracker contains luxury contents such as a pen, bottle opener, key ring, mirror or a clock. 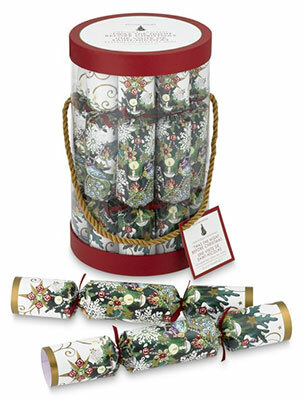 Tom Smith Christmas Crackers feature an assortment of styles including traditional, luxury, specialty, juvenile and mini Christmas crackers with same day shipping. 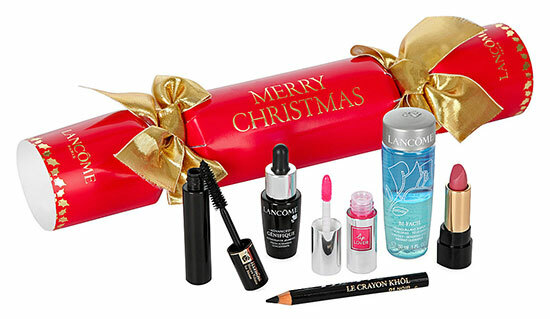 Lancôme's Christmas Crackers make a fun and luxurious gift especially for her this festive season. The crackers contain six premium products including Hypnose Volume Mascara (black), Le Crayon Khol Eyeliner (black), Advanced Genifique Youth Activating Concentrate, Lip Lover, L'absolue lipstick and Bi-Facil Eye Make Up Remover, ensuring a total refresh of your make-up essentials. An unexpected surprise for any beauty connoisseur this season, these crackers are a super-special stocking-filler. Exclusive to Selfridges, they sell for £54. Harrods also features a set of 6 Ice Princess Luxury Christmas Crackers for £99.95 adorned with grosgrain, satin ribbon and a sparkling crystal-encrusted crown pin. Each cracker includes a paper hat, joke and one of six beautiful silver plated gifts that will bring a little extra luxury to your celebrations this year. Available for UK delivery only. 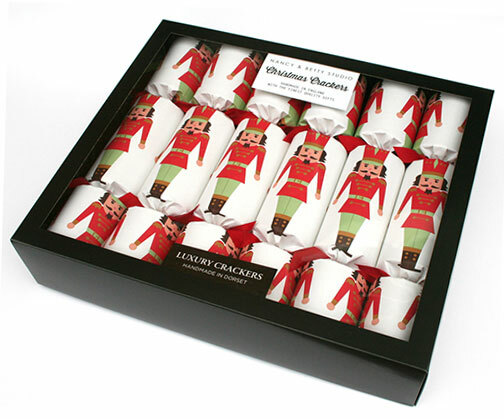 Dress up for your Christmas ‘selfie’ with the gifts inside these Christmas crackers. Each cracker in the 6-pack contains a gift, hat, snap and motto. Available at Selfridges, they sell for £19.95. Williams-Sonoma wrapped their classic Victorian-style favors in colorful paper decorated with original artwork inspired by the beloved American poem, “A Visit from St. Nicholas.” Pull each end—and they burst open with a little “crack!” and a cascade of tiny gifts. The small crackers hide jokes, quizzes and games; the large ones hold small trinkets, jokes and paper party hats. 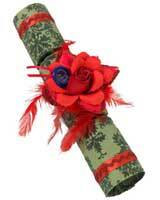 The large Christmas crackers are 10" long and a set of 12 sells for $29.95. This is no run-of-the-mill cracker; it is not simply popped and discarded with the used wrapping paper. The Rather Large Cracker makes a statement; spilling 40 individually wrapped festive chocolates, along with 12 Christmas hats and jokes across the centre of your dining table. Start your Christmas with a rather large bang from Hotel Chocolat for £36. For those who love everything British, this set of 6 Iconic London Crackers are made from London themed paper featuring icon images and finished with red satin bows, each cracker contains a London themed iron on patch, hat and motto. They are available from the British National Gallery for £28. For the food loving family, Celebration Crackers presents a box of Christmas crackers which feature delightful and handy kitchen accessories. 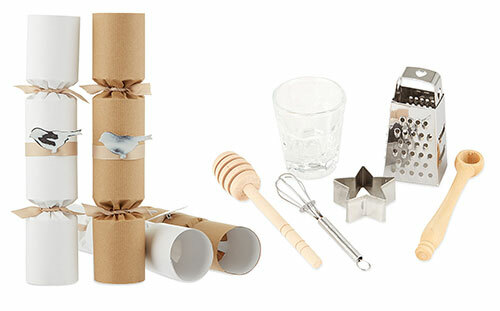 From wire egg cups to cookie cutters, there's something for every chef in the house. Exclusive to Selfridges, they sell for £59. Handmade in England by Nancy and Betty Studio, these six Nutcracker Christmas Crackers come in a presentation box and contain the finest gifts (marbles, pencil set, die, mini whisk, cookie cutter and egg cup), silver or gold foil paper hat, joke and of course the snap! Perforated for the perfect break. Each cracker measures 32cm x 6cm diameter. Nowadays, with the hurry-scurry and bustle of the modern day holiday, it is refreshing to find that the cracker is still with us. For those of you wanting to make your own crackers, here are instructions.